I had always loved to read rhyming books and poetry from a young age. With a desire to work for myself, my first two books published in 2012, and the third was launched at the Trafford Centre Manchester on 7th September 2013. I write children's rhyming books. 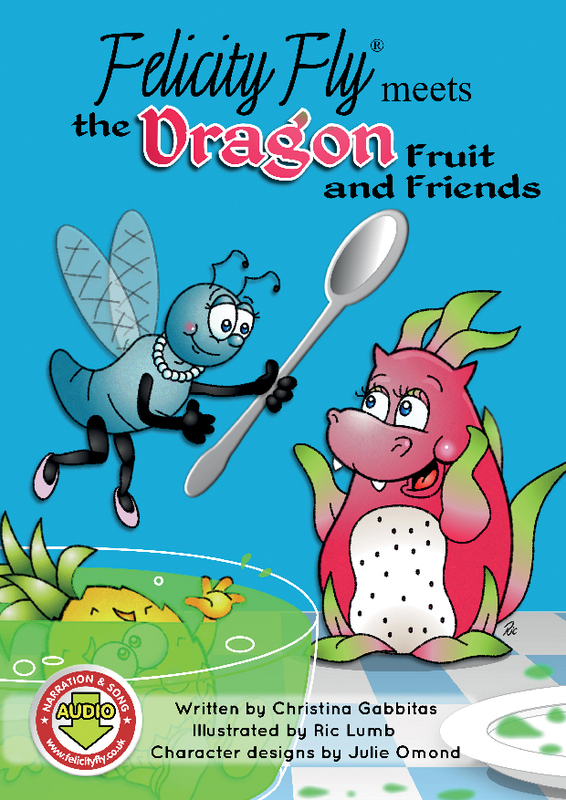 My first collection is the Felicity Fly series that teach children about the world arounds them with fun. www.felicityfly.co.uk The topics include: Pollination, Healthy Food, Teamwork and Fears. Share Some Secrets www.sharesomesecrets.com is a safeguarding book that encourages children to speak out. I narrate all the stories on a CD, which is supplied with the book. All the characters boast different accents, to help children understand that we not only look differently, but can sound different too. My inspiration for writing, came from my own children. My son has Dyslexia and I found that he learned better through rhyme. I have since learned from research conducted that children in their early years, learn better through rhyme. This initiative was first set up in Jan 2013, gaining support from the Education Secretary. Children are invited to write an eight line rhyme on chosen topics, the 2018 topic was 'The Sea' and the inspiration for this was the BBC Blue Planet 2. The competition will opens from Jan to end April each year. Judges include, Dr Stephen Fear, Ambassador in Residence at The British Library, The Poetry Society, The Victoria and Albert Museum Of Childhood and Michael Bradley, bassist with The Undertones to name a few. BBC Radio - I have been interviewed live and read exerpts from the stories on air. on BBC Radio Leeds, BBC Radio Sheffield , BBC Radio Lancashire , BBC Radio Newcastle, BBC Radio Humberside and BBC Radio York. Next interview 13th June 3.00pm BBC Lancashire 2018. I have and regularly stage book signing/reading events, at a number of bookshops. 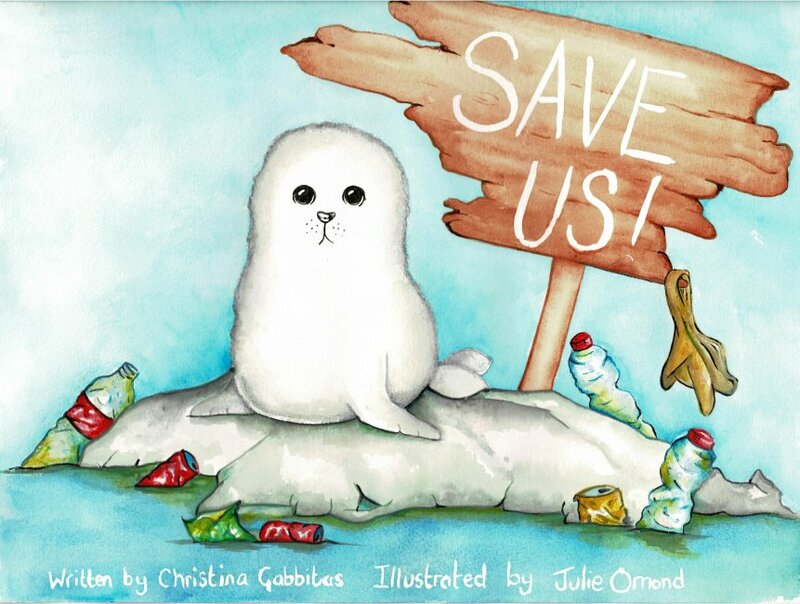 My next book launch will be at Sheffield Meadowhall, WHSmith 27th October, 2018 with my latest publication 'Save Us' This book is a lovely story about a Whale, Sealion and Sea Turtle and addresses the issue of plastic in our oceans. I have been invited to encourage children reading with storytelling and writing with my national initaitive in Sharjah for three consecutive years. Hind Abdullah Lenaid, the head of the festival, assisted in the overall judging panel of the poetry initiative for theses years. Christina spent a whole day at the Huddersfield Mrs Sunderland Festival working mainly with Key Stage 2 children, but also with some adults. 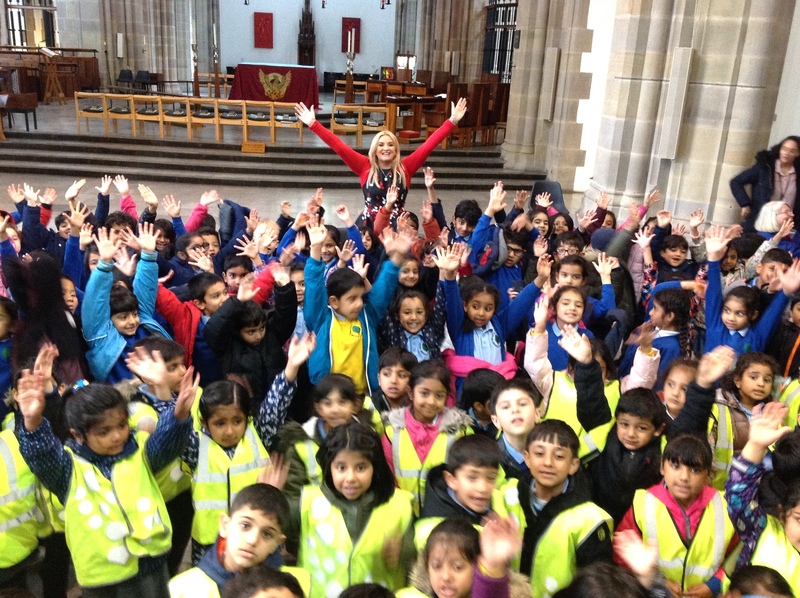 The children benefitted from her enthusiasm and were inspired to write poems during their one hour session. The adults had a good discussion led by Christina and were also encouraged to freely express their feelings in words and poems. Everyone went away having learnt something new and having enjoyed their time at the Festival. Thank you so much Christina for an absolutely amazing 2 days. The children loved your stories about Felicity Fly and were mesmerised by your different accents. They were enthralled with the stories and some wished that you could have stayed with them longer. A very busy afternoon with year 6 produced some fantastic starts to budding poets. Thank you again for visiting - Sam Coolican, Bankside Primary School. The purpose of Christina’s visit was in fact two fold as a number of poems written by our girls won a national competition which meant that they were entered in to one of her books. The Upper Juniors wrote rhyming couplet poetry about their favourite food for the Mrs Sunderland Music and Poetry Writing Festival. The poems were entered into the National Poems and Pictures, Eight Line Rhyme Competition judged by Christina, with Ella Shaw in 5JC being placed second and sixteen Year 5 and 6 girls' poems chosen to be published in the national poetry book, volume 2, ‘An Invitation that Captured the Primary School Nation’. The book has now been published and these girls, some of whom are now in Year 7, posed for a picture on their lunch break for the Wakefield Express with Christina and a copy of the book. In the afternoon Year 3 sat in a circle to listen to Christina read her highly popular ‘Felicity Fly’ books, where they sat captivated as she used numerous accents for the characters in her books, helping to demonstrate that people pronounce words differently. 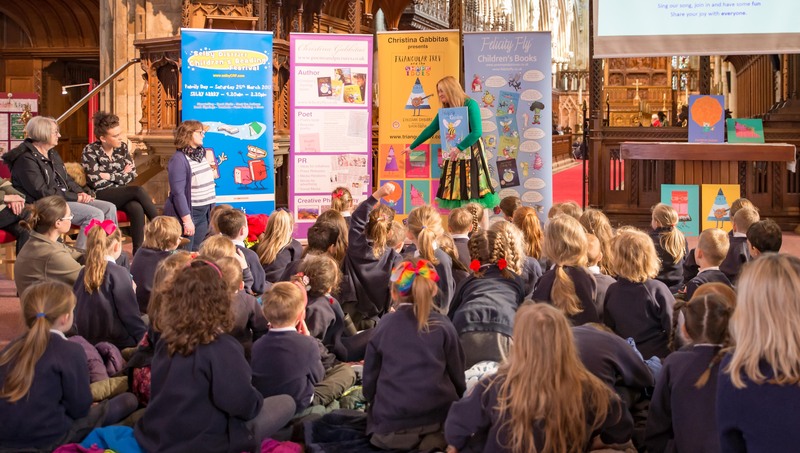 Christina is a big believer in writing in rhyme and reading in an animated way, using accents and tone, to encourage children to want to listen to books. Thank you very much for visiting school yesterday to help us celebrate National Poetry Day. The poetry workshops were very successful as you inspired Year 5 to write some very good rhyming poetry and the girls were extremely proud to share their work with you. Year 3 had fun listening to your 'Felicity Fly' stories and liked your voices that brought the characters alive. They loved participating in the stories too. The Y6 and Y7 girls whose poetry is featured in your book 'An Invitation that Captured the Primary School Nation' were very excited to meet you and you gave them encouragement to continue to write. The highlight of the day, was taking part in a workshop led by the visiting author Christina Gabbitas. 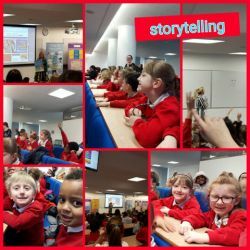 The children were transported into the wonderful world of Felicity Fly and her friends as we were privileged to listen to Christina read her stories. All of the children went to great lengths (along with the staff!) to dress suitably for the occasion and an army of colourful bugs could be seen around school! 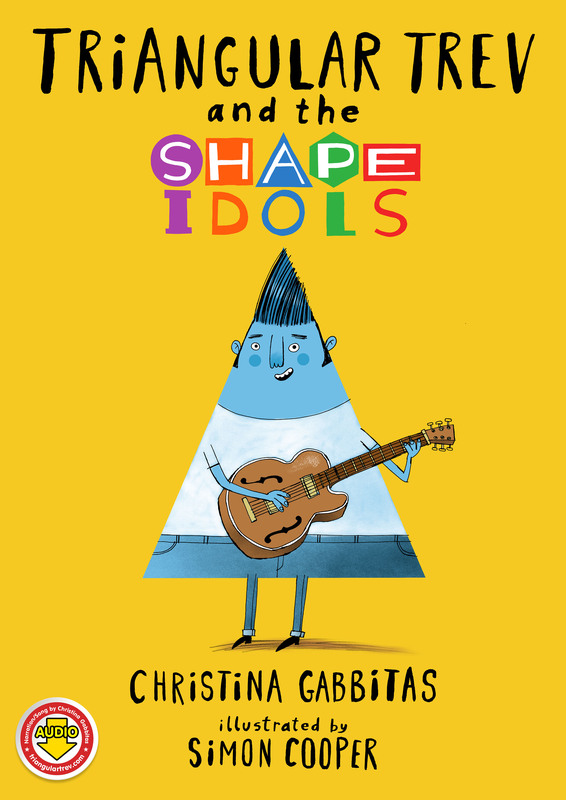 On Friday 7th March Christina Gabbitas will visited YR, Y1 and Y2 children in our school. She read her stories to the children, sung songs and answered questions. During the whole school assembly, she also publicised her poetry competition. Here are some pictures and comments of the afternoon. Christina came into our school to work with our Foundation stage and KS1. She engaged the children with the Felicity Fly song which we put a few actions to and delighted them whilst reading them some of her books, in many different fabulous accents which the children found very funny! Thank you Christina. It was wonderful that you came to Highfields. We felt really honoured! 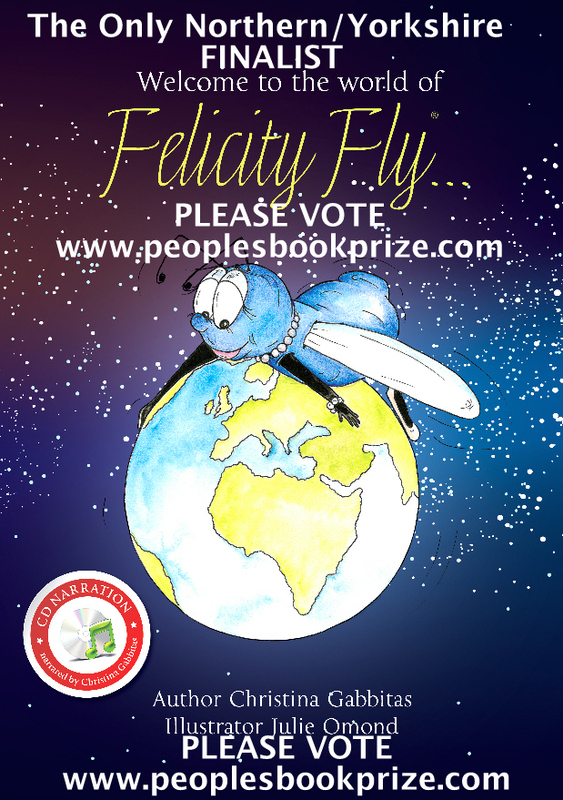 .I wish you lots of success with the Felicity Fly stories……we all enjoyed the characters and will use them in future class discussions about the themes you suggested. Thank you so much Christina for a thoroughly entertaining afternoon.The children here at Hessle Mount loved your stories about Felicity Fly and her friends; having the stories read aloud with her amazing accents had the children enthralled. We enjoyed hearing about how your ideas to write materialised and learnt about your determination and dedication to getting your ideas published. The children have been inspired to put pencil to paper and are presently writing their own poems about friendship and teamwork. Many thanks once again for a lovely afternoon and good luck with your next story. We look forward to reading it. Storytelling - I love to read the stories to children, in all the different character accents, which makes it quite entertaining and engaging for the them. The second book also boasts a 'sing along song', which can also be fun and interactive. Poetry Workshop's I recently held a number of these workshops at the Mrs Sunderland Dance, Music and Drama Festival, which proved very successful. I encourage all children, to 'have a go' at writing. Each child is individual and I feel they all have capabilities. I am happy to talk about any requests you may have. I live in Yorkshire, but I'm willing to travel. All my publications are rhyming books. Felicity Fly series with audio give positive messages to children about the world around them. Triangular Trev & The Shape Idols, addresses mathematical terms with fun. Share Some Secrets is a safeguarding book that teaches children the difference between good and troublesome secrets. This publication has been endorsed by NSPCC and Barnardo's and is being used in the schools service. New publication addressing plastic in our oceans is due out 27th October. This is a lovely rescue story about a Seal, Sea Turtle and Whale. A lovely rescue story about a Seal, Sea Turtle and Whale, addressing the topic of plastic in our Oceans. Felicity Fly is a rhyming book, which addresses childhood fears.The book introduces characters, Felicity Fly, William Washing Machine, Simon Spider, Willamena Woodlouse, Moey Mouse and Sissy Silverfish. 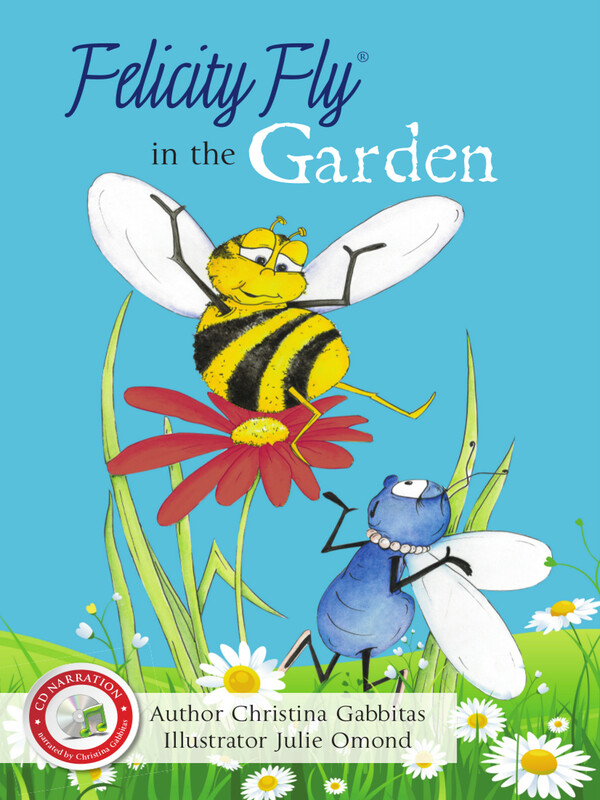 Felicity Fly in the Garden is the third rhyming story in the Felicity Fly children's book series. Addresses Healthy Food with fun. There is an audio with read along and song. Addresses mathematical terms and shapes with audio and song - learning with fun.